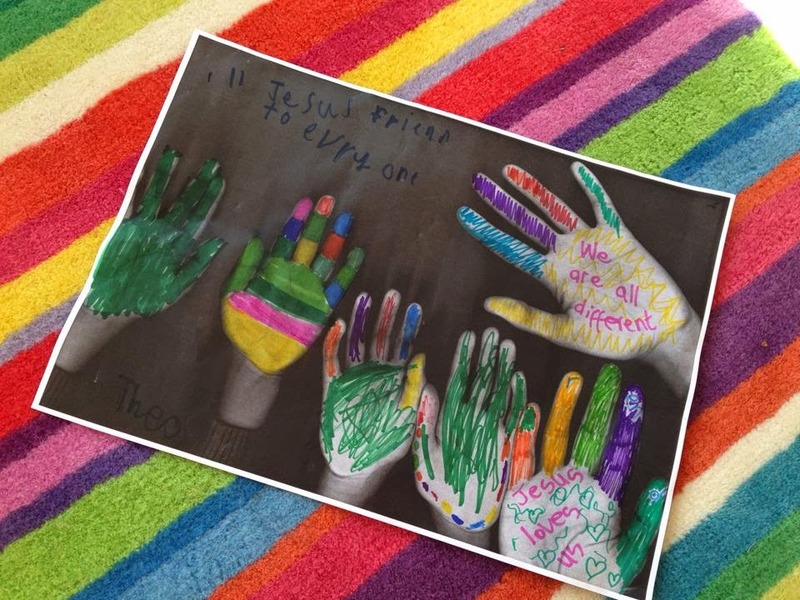 We were doing the story on the Ten Lepers, with a focus on how Jesus was friends with all (a holiday club message we were revisiting) and even though they had leprosy He helped them and didn't shy away. 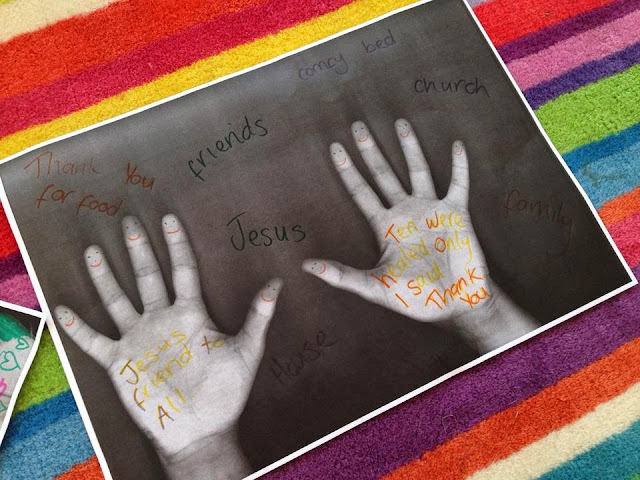 We photocopied our hands to tell the story (one way we told it) drawing straight mouths on each of the hands turning to happy when healed. Moving on to write our own thank you's around the hands. The photo above is something we thought of whilst photocopying, noticing our hands were all different and little details were being captured led us to talk about how Jesus was all of our friend's even if we are different. So we made posters of group of hands, which turned out lovely!!! I think we will use the hand photocopying idea again! !